NINE MEMBERS OF a gang which carried out a sophisticated cyber attack on banks in the UK , stealing just over £1.25 million by remotely controlling bank accounts, have been sentenced to a total of 24 years and nine months imprisonment. Metropolitan Police say that the organised crime group also used bank and credit cards obtained from around one million intercepted or stolen letters to fraudulently purchase Rolex watches, designer jewellery and other high-value items, worth over £1 million. The gang used a device known as a KVM switch to access and control Barclays and Santander bank accounts remotely on three occasions. 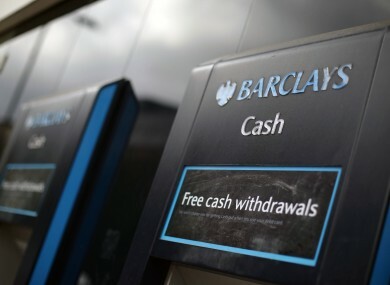 The largest robbery took place in April of last year when one of the men entered the back office of a branch of Barclay’s bank, allowing the gang access to it’s IT system. They then used the KVM device from a nearby hotel to make 128 transfers worth £1,252,490 to a network of mule accounts set up to launder the stolen cash. Barclay’s reported the cyber attack that day and recovered over £600,000 of the money. Police say that a number of months later another member of the gang entered a different branch of the bank and stole a further £90,000 using a similar method. This time the bank managed to contact the police who recovered the KVM device despite the money already been transferred. The KVM switch the gang used to steal the money. In addition to the Barclays and Santander cyber attacks, the gang used what police believe to be around 500 high value bank and credit cards that had been either stolen or intercepted, to purchase Rolex watches worth up to £30,000 each, high-value jewellery and electrical equipment such as Apple Mac computers and iPads. The value of the credit card fraud is in excess of £1 million. In order to use the cards, the group used a device to spoof genuine bank telephone numbers in order to fool victims into providing their personal details and PIN numbers. Five of the men were today sentenced to between two and eight years in prison with the remaining four men receiving suspended sentences. Email “Thieves break into bank, hack into computers and steal over £1.25 million...but get caught”. Feedback on “Thieves break into bank, hack into computers and steal over £1.25 million...but get caught”.